Same effect also when used in DXCluster form. Actually it does not break lines in DXCluster. That was wrong notice. But does it in CQ-monitor. Reason is that bold font not equal width with non bold. Other Mono spaced fonts are equal width both bold and non bold formats in my system. That makes the difference . 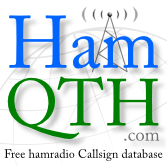 CQ-monitor uses bold font with non worked calls and locators. Also found out that the font name is so long that it does not fit to configuration file line. How ever this seems not to cause any harm (at least with my setup). Just noticed it by accident. I'm too fast to draw conclusions. I was already wondering why cutted name works ok.
Actually my system has cutted the name at install phase, for unknown reason. Cutting does not show up on selection dialog unless you scroll line vertically. Season greetings to everybody !